Valve's software development kit will create a standard for virtual reality headsets used in conjunction with Steam Machines. 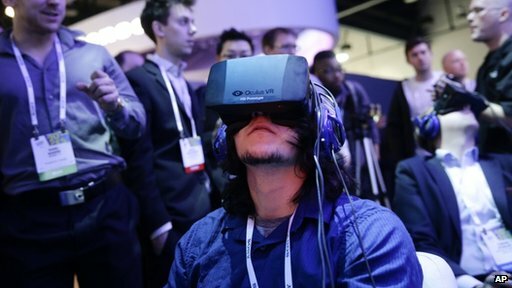 Oculus Rift is paving the way into virtual reality gaming as interest in virtual reality technology has grown since the Oculus Rift's Kickstarter campaign in mid-2012. To assist in making a standard interface for virtual reality, Valve will release a VR software development kit in just a few days at Valve's Steam Dev Days conference Jan. 14-15. Valve designer Brian Coomer said the company has been interested in virtual reality for some time and has a relationship with Oculus Rift. While Valve is still interested in pursuing its own virtual reality technology in head-tracking and headset manufacture and design, right now it's ready to support the technology for games on Steam Machines. Coomer points out that Valve partly wants to make the job of developers easier for reconfiguring controls for Steam Machine games by making the game recognize a controller as a keyboard and mouse. The VR software development kit will also make a standard way to provide an interface for VR controllers. Valve is also working with other companies right now but has made no specific announcements yet, Coomer said. Steam Machines are something Valve is going to have to market well to consumers as the company's exploration into the living room, on-the-couch gaming may not be something many Steam users on PC are interested in. Getting involved in new technology other companies are developing and moreover making that technology easier to use for developers and consumers on Steam Machines is in Valve's best interest. "Steam is in a unique position to be this intermediary between hardware and software and users," Coomer said. "Without that, it's going to be hard for any device to get serious traction."